Powerful and safe nail fungus remedy. Double the potency of homeopathics plus added polyphenols make this extra strength. Powerful and safe nail fungus remedy. Double the potency of homeopathics plus added polyphenols make this extra strength. Value Size. Powerful and safe nail fungus remedy. Powerful and safe nail fungus remedy. Value Size. Powerful and safe nail fungus remedy. Powerful and safe nail fungus remedy. Toenail fungus is ugly and unhealthy. While some have tried ineffective home remedies for toenail fungus and there is many a toenail fungus treatment out there, many of those treatments use harsh chemicals and have damaging side effects. Others only handle what's on the surface. What you want is a complete toenail fungus cure. Now there is a revolutionary advance in dealing with the unsightly problem of toe fungus. 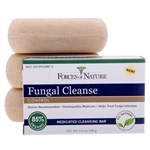 Nail Fungus Control removes fungus both in and under the nail. It uses no harsh chemicals so it heals naturally, without pain or harmful side effects and without damaging your skin. Nail Fungus Control is made from anti-fungal extracts that are certified organic along with important botanicals that help damaged skin tissue and promote healing. Being certified organic is highly superior, not only to harsh chemicals, but also to non-organic ingredients that may contain pollutants, toxins or pesticides. 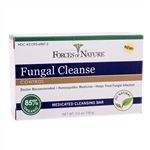 Nail Fungus Control is a proprietary formula of certified organic homeopathic and soothing botanicals that is exclusively made and distributed by Force of Nature. Leading medical professionals and doctors developed this formula that is unique in the skin care industry. The advanced treatment approach they created is the result of eleven years of research and is FDA registered for over the counter sales. Nail Fungus Control is the World's first certified organic nail fungus treatment. It is pharmaceutical strength and uses only pharmaceutical grade ingredients. Nail Fungus Control is a nail fungus treatment that can be counted on to work every time, which is why it is doctor recommended. Most people will see results in only a few days. We are so confident in Nail Fungus Control that we have backed it with a full year money back guarantee. If you are not satisfied for any reason, you can get your money back for an entire year. We have created a unique dual modality approach by combining proven homeopathic medicines that fight fungus with soothing botanicals to help heal damaged skin. The homeopathics heal while the botanicals support and expand the actions of the homeopathics. It is all combined in a formula designed to absorb quickly and deeply into the skin and work on a cellular level. The founder of our company and lead product developer, Mr. Peter Klapper, who is a biologist and plant medicine specialist, traveled around the world for the medicinal material needed to develop this treatment. In the process, he developed relationships with certified organic growers all over the planet. The therapeutic material used in this formula is sourced from Nepal, the French Alps and Australia and South Africa as well as many other places. It is then quality checked and hand blended to create the unique formulation of our treatments. Nail Fungus Control has a number of advantages over other products. Nail Fungus Control is manufactured to the highest standards in the industry. 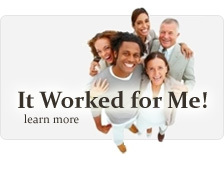 It was developed by doctors and medical professionals following years of research. No other nail fungus treatment is developed and manufactured to such high standards. Nail Fungus Control is the finest product of its kind on the market. Order now and experience the quality and relief that Force of Nature Nail Fungus Control provides.